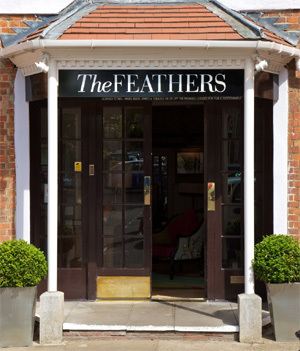 THE FEATHERS is what you dream of finding in the quintessential Oxfordshire countryside; and in an historic village dominated by its stately home Blenheim Palace. Peter Saunders, the general manager, together with his team, present an extremely relaxed atmosphere inducing a feeling that you are actually staying in a private house  truly a home from home. This really is the ideal place just to chill out and indulge yourselves. A couple of years ago, after recent renovations, the hotel opened a rather special bar featuring a collection of 181 gins from around the world (with more being added all the time) and last year acquired the Guinness World Record for the largest number of gins on offer. You must try the Blackwood 60 Gin with Q tonic  it's probably one of the most expensive but absolutely delicious. Another exceedingly good reason to visit is that on 29 and 30 November they are staging a novel event: the 'Sloe Gin Challenge'. Check The Feathers website for details. There is a tranquil courtyard garden where on a sunny day you can either enjoy the Hendrick's Gin afternoon tea, one of over nineteen speciality teas to choose from together with sandwiches and cakes, or an aperitif before dining either al fresco or in the gorgeous dining room. The dining room with its old wood panelled walls now has what we think is the pi�ce de r�sistance  an amazingly bold and beautiful carpet depicting peacock feathers in wonderful, flamboyant colours. Not for your home but great theatre in an hotel. Throughout the hotel there is a mixture of contemporary art and objets d'art, some tucked away in nooks, crannies and bedrooms. The Feathers' mixture of old world charm, with its antiques and the vibrancy of lush new fabrics and papers by designers such as Designers Guild and Osborne & Little, has really brought the hotel into the twenty-first century. Each of the twenty bedrooms has been individually designed to complement the character of the three small eighteenth century buildings that make up this historic hostelry. Upstairs is a bit like being in Alice in Wonderland with the many lamp-lit staircases, beams and little alcoves. But we digress as there is even more to The Feathers than just gin and chic surroundings. There is good food and wonderful countryside to explore. It is well worth noting on your 2014 calendar the dates for the next Art in Action  17 to 20 July, 2014  you will not be disappointed as there really is an amazing amount to see and do. 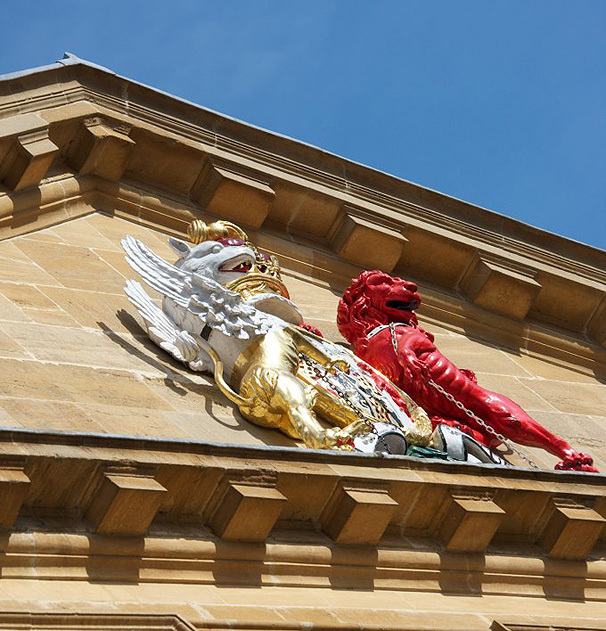 The Oxfordshire calendar lists a whole range of events to cater for wide interests. ANOTHER DELIGHTFUL PLACE TO STAY, but totally different in character, is a rather special B&B. Lower Brook House is set in the heart of the village of Blockley and nearby there are many delightful Cotswold villages such a Chipping Campden, Broadway (arguably the best preserved high street in the country), Stow-on-the-Wold and Hidcote Manor Gardens... you get the picture. In its heyday Blockley was able to support 20 shops, 8 pubs and 4 banks but in 2007 the final remaining shop and Post Office closed its doors, although there is now a community shop. However, it remains a perfect Cotswold village with wisteria-covered stone cottages, a babbling brook and Lower Brook House. Julian and Ann Ebbutt offer delicious home-cooked suppers and breakfasts, either in the modern comforts of their 17th century house or, as we did, in the delightful garden in the company of our fellow guests. As you would expect, there are real log fires, original flagstone floors and four-poster beds in the six comfortable bedrooms. This is an ideal base from which to enjoy everything in the locality including BITE, The Cotswolds Food Festival to be held from 1 to 9 February, 2014. BITE is an event for all food lovers with not just food, pop-up restaurants, cocktails and fine wines but masterclasses, farmers markets and everything else associated with such festivals.